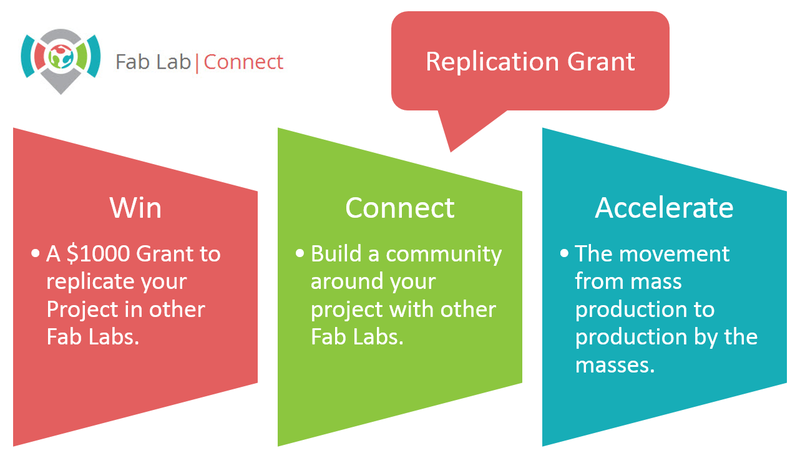 Fab Lab Connect is introducing Fab Replication Grants. You can win a US$1,000 cash grant to replicate your project in other Fab Labs. There are a total of 30 grants available. This is a great opportunity to work with experts in the global community and show your commitment to mentoring others through the replication process. Projects are being replicated in the new Fab Lab Yachay, Ecuador and the new Fab Lab Corsica, France. Fab Lab Connect is accepting project submissions now. Registration closes on March 31, 2015.